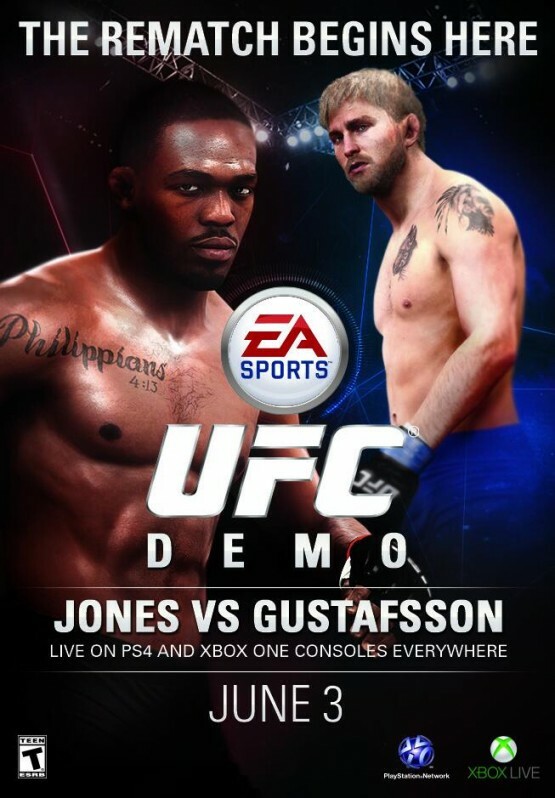 After we told you that it had been approved earlier this month, EA has confirmed that the demo for EA Sports UFC on PS4 and Xbox One will be released next week on Tuesday, June 3rd. Since the announcement image says “live on PS4 and Xbox One consoles everywhere,” we can assume that the demo will arrive in North America and Europe at the same time. The full version of EA Sports UFC will be available for the PS4 and Xbox One on June 17th in North America and June 20th in Europe. Will you be downloading the demo? Let us know in the comments below.